As London Fashion Week finishes and moves on to Milan, I thought I'd finish my little trio of LFW posts with my favourites from Day 5! I only have 3 today, as I think there were less shows on Day 5, and not as many of the big names etc. I think the biggest show of the day was Amanda Wakeley. 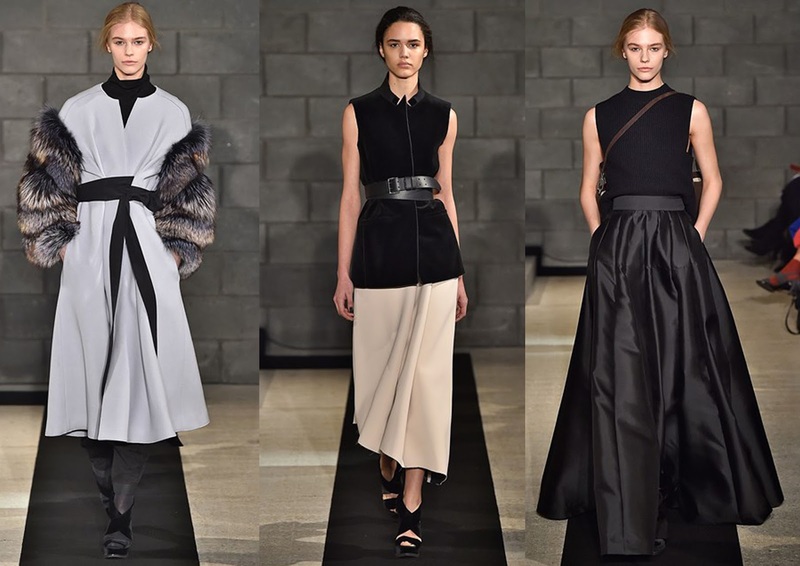 I absolutely loved her entire collection - chic, neutral pieces in cocoon, oversized silhouettes. Personal favourites were the dove grey coat with cocoon fur sleeves - paired with a high neck black top (keep them in your wardrobe for this A/W, they've been all over the catwalk this season! ), the belted black vest top with beige skirt - this is gorgeous transitional dressing. And finally, the black sleeveless top paired with the gorgeous full length skirt - I love how feminine this is without having to be in a bright, pastel colour. I've always loved Victoria Beckham's collections. She really has made the transition from celebrity to designer so successfully. 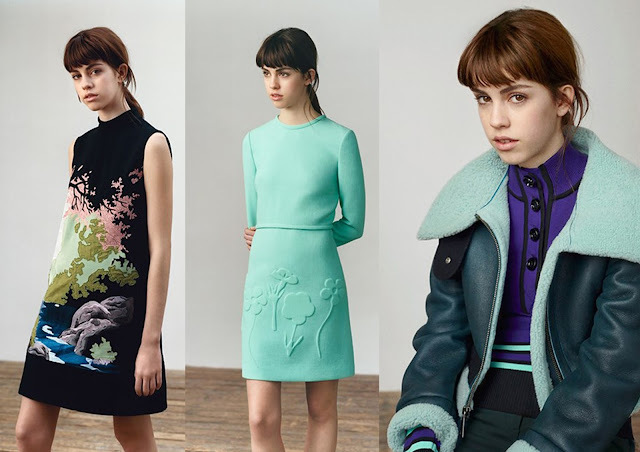 For her Victoria, Victoria Beckham AW16 collection, there was a lot of bright turquoise running through it - and I especially loved the embossed long sleeved dress, and the stunning shearling jacket - how gorgeous is this twist on the usual shearling jackets?! And finally, the high neck printed dress is so lovely, the perfect way to add some colour into a neutral wardrobe. My final favourite was Xiao Li's collection. 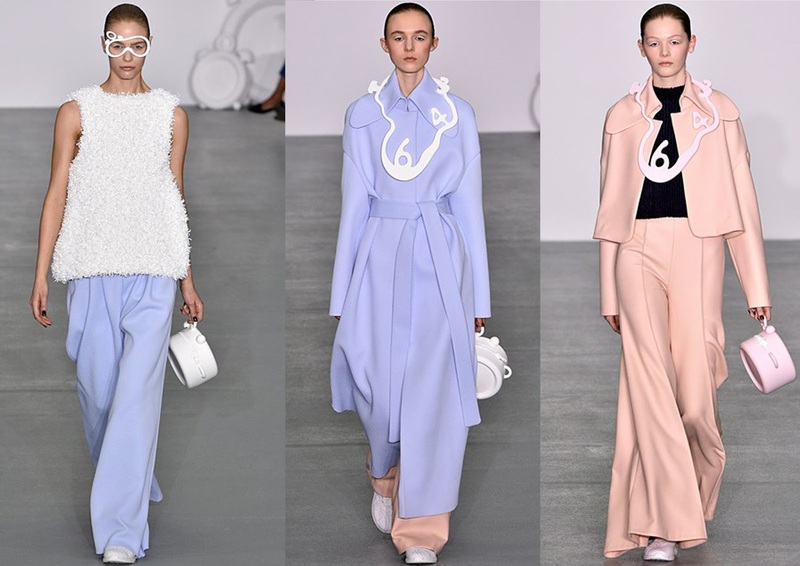 The bright pastel colour palette reminded me of Eudon Choi's collection (featured in my Days 1 & 2 overview). I love the texture in the first outfit - the furry cream top is so feminine, and I love how the accessories were kept the same colour, with the loose trousers adding a pop of colour. The wrap coat looks like it's going to be on trend again next A/W, and this bright blue one is a gorgeous colourful take on the trend. Finally, I loved the salmon pink trouser suit, paired with a chic black top - perfect for wearing separately too if you don't want to make too much of a statement! So that's LFW done for another season! What were your favourite collections? Let me know in the comments!